We know of psychopaths from chilling headlines and stories in the news and movies - from Ted Bundy and John Wayne Gacy to Hannibal Lecter and Dexter Morgan. 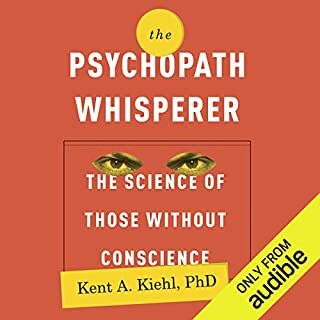 As Dr. Kent Kiehl shows, psychopaths can be identified by a checklist of symptoms that includes pathological lying; lack of empathy, guilt, and remorse; grandiose sense of self-worth; manipulation; and failure to accept one’s actions. But why do psychopaths behave the way they do? Is it the result of their environment - how they were raised - or is there a genetic component to their lack of conscience? An autobiography with splatter of neuropsychology. This was a terrific book about someone who professionally practices the field of abnormal psychology. As a "Criminal Minds" addict, I loved hearing the practical science behind psychological diagnoses. I was very impressed by Dr. Kiehl's career path (as a psychology major, it illustrated the grueling path of becoming a research professional well.. and made me happy that I chose a more practical carreer!) and thought his case studies were beyond interesting. I also feared that many of my questions would go un-answered in this book, but this was not the case. While he used convicted felons as his primary source of knowledge, I learned about the development, diagnosis, treatment, and current issues in the field of psychopathy... as well as some insight to my favorite "unsubs" on Criminal Minds! This narrator will have to reign among my favorites. He read in the exact style I prefer- few accents/affectations on the dialogue, velvety voice, and inflections that clearly indicated the punctuation of the standard text. 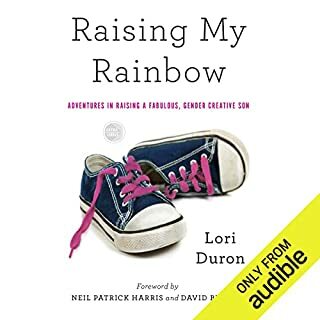 Raising My Rainbow is Lori Duron’s frank, heartfelt, and brutally funny account of her and her family's adventures of distress and happiness raising a gender-creative son. Whereas her older son, Chase, is a Lego-loving, sports-playing boy's boy, her younger son, C.J., would much rather twirl around in a pink sparkly tutu, with a Disney Princess in each hand while singing Lady Gaga's "Paparazzi". I am an expectant mother and recently my food cravings have turned the tide to an appetite for parenting memoirs. I am voracious for information regarding parenting challenging or non-typical populations in order to guide myself down the daunting task of parental problem-solving in the future. Mrs. Duron's book satiated that need. Yes, the content of the book focuses on raising a simply fabulous gender non-conforming son, but under that heading, she is able to teach valuable lessons about the greater lessons we teach our children: empathy, safety, support, and being true to one's self. I hope I can parent as well as she one day! As a frequent audible listener, I LOVE when authors read their own memoirs; however, I also have become used to and spoiled by the professionals. I would not have had anyone else read the book, but perhaps some coaching (e.g., lowering intonation at conclusion of chapter, use of pauses, practicing inflection based on punctuation) would have been helpful. 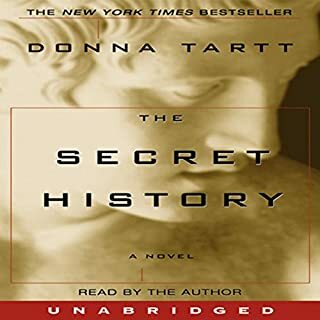 If you're familiar with Donna Tartt's work (notably, last year's Pulitzer Prize winner, Goldfinch), you will not be shocked to hear that this is a well-written, but darker read. Ms. Tartt loves to explore the lives of vulnerable coming-of-agers placed in situations which challenge and eventually change them. This story is no different as the reader/listener is introduced to Richard, a young man completely out of place in the very "yah" environment of an elite liberal arts college in New England. He falls in with a group of peers within his cult-ish Ancient Greek program and enters a world of privilege, literary elitism, and, eventually, murder. The story follows one year of his studies at the university and deals with how each character internalizes/externalizes their crime, from Richard's perspective. Ms. Tartt's writing is simply marvelous and her ability to capture experiences from the mundane (removing a pair of glasses) to the general (sights, scents, schedule of a college student) to the hypothetical (what is the perfect crime?) to the paranoid (are you hiding something from me?) takes the reader out of his/her reality and into the life of Richard and his peers. On the downside, I simply didn't like many of the characters. They were, frankly, people I would have avoided in college. It became a little hard to lose yourself in the story when you truly weren't rooting for anyone. Additionally, while I HATE to dissuade other authors from taking on the task of narrating their own novels, I have become accustomed to professionals and found it somewhat distracting hearing a southern woman read the roles of males. Furthermore, some of her "voices" changed my impression of the characters (notably, a fatherly character for whom she adopted an almost coquettish, high-pitched voice more appropriate for a 5-year-old girl or dying grandmother), in ways that did not correspond to their characters' roles. Now a major motion picture directed by Stephen Frears ( The Queen, High Fidelity) and starring Judi Dench ( Skyfall, Notes on a Scandal) and Steve Coogan ( The Trip, Hamlet 2): the heartbreaking true story of an Irishwoman and the secret she kept for 50 years. When she became pregnant as a teenager in Ireland in 1952, Philomena Lee was sent to a convent to be looked after as a "fallen woman". Then the nuns took her baby from her and sold him, like thousands of others, to America for adoption. Fifty years later, Philomena decided to find him. I did NOT see the movie, so going into this reading, here's what I expected: a mother and son are separated at birth and we follow their parallel lives, understanding how their separation shaped them, and eventually revel in their reunion. Here's what I got: a very, very, VERY detailed account of an Irish orphan's life in the US. 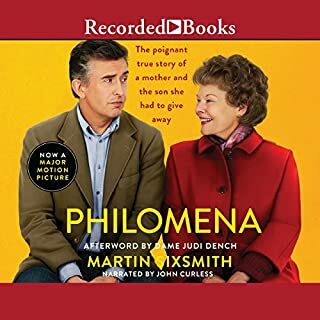 I titled this review "lacking in some respects" because I was dying to know what happened to Philomena, only to be rewarded with the briefest of synopses in the epilogue. I titled this review "overdone in others" because I know EVERYTHING about her son's life, after waiting patiently through 16 hours documenting each year of his life. I know which gay bars he attended, I know what his college dorm was named, I know the names of all of his colleagues' wives. Seriously, at one point the author spends a few minutes describing what he ate on an uneventful Christmas Eve in 1981. I understand why this was done. This book was not written for me. It was written for Philomena. And it's a lovely gift to her. I just wish the package had been more clearly labeled, as my expectations were unmet. Mr. Curless's voice is heaven, though. This was a solid read which investigated race relations in America from the viewpoint of an African ex-pat living here and experiencing being categorized as "black" for the first time. The author takes us through her relationships with a white man who views racism as a thing of the past, a black man consumed with the inequities of being a black American, and the ups and downs of daily interactions with black and white people, alike. This novel is much more "Crash" than "Diary of a Mad Black Woman," as the protagonist takes an observational, at times humorous, perspective on what is still a very touchy and real issue in America. As a white woman, I found it gave me valuable insight on the experiences of my black peers as well as offering me opportunities to reflect on my own attitudes and behaviors towards race in America. I only downgraded my rating slightly, as I found the plot to drag at times and some horses felt over-beaten. Ms. Andoh has the most beautiful voice I have ever heard. 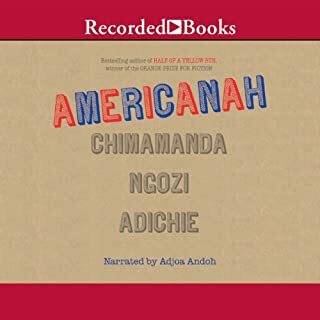 Her English and Nigerian accents were melodic and, while her American accents always sounded a bit stilted/southern, I could listen to her read the phone book and fall in love. I had read this book years ago and remember loving it, so when the abridged version was on sale, I purchased it in order to refresh my memory of the story, but not have to commit to re-reading the notoriously verbose Mr. Lamb. 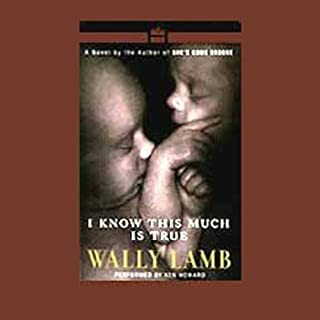 The story was great- I am always amazed by the depth and truthfulness in Wally Lamb's male characters. I obviously would have probably been more engaged had they chosen to flush out certain parts (impossible when you go abridged), but overall, enjoyable and informative. The narration was SIMPLY. HORRIBLE. First of all, this must have been taped eons ago b/c it had the clarity of a 1930s newsreel being projected through a 1980s answering machine. To make matters worse, Mr. Howard's voices were simply distracting. Often, despite the fact the story takes place in Rhode Island, he sounded like an Italian uncle from North Jersey, but then appeared to tire of the affectation, and returned to his normal (non-irritating) speaking voice mid-sentence. Also, the schizophrenic brother's voice was almost identical to Buffalo Bill's famous, "I'd $%^# me" line in Silence of the Lambs, which had the unfortunate affect of dehumanizing the character (which is likely contrary to Mr. Lamb's intention). I'd go ahead and read this book, in its entirety, over the abridge audiobook. 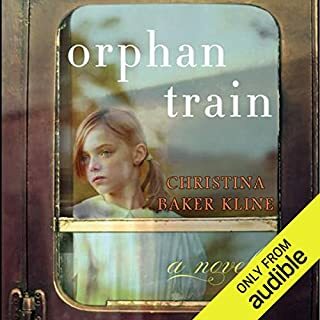 I had very mixed feelings about this book and imagine I would have liked it more had I visually "read" the book, as opposed to listened to it on Audible. No one can deny that it has some gripping moments, is VERY well-written, and is accessible and moving enough to become this generation's literary introduction to the Holocaust. As opposed to other tales from this genre, the book does not follow the life of a German Jew; rather, a (questionably) gentile German foster child. Thankfully, it manages to pay due justice to the horrors of the time both for the persecuted populations, while also capturing the difficulty of life for the "Aryan" citizens under Hitler's reign. The author uses some of the most creative sensory descriptions I have ever encountered, often daringly describing the tastes of colors, the sounds of visual perception, or the smell of an emotion. THAT BEING SAID... Before you purchase the Audiobook, go to the Amazon.com "Look Inside" feature. The book is divided, rather charmingly, into paragraphs, small vignettes, sub-chapters, and asides. I would not have known to look at this, were it not for the sometimes choppy narration which clued me into investigating further. The listener misses out on illustrations, back referencing, understanding of a side note vs. a plot point, etc., from the text. Additionally, to be perfectly honest, for the middle 60%, the story had me a bit bored. I imagine the literary tricks used in the visual text would have prevented my attention from drifting so much, thus increasing my engagement with the very poignant story as a whole. 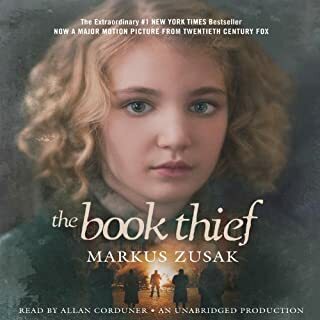 What the listener DOES gain from the Audible is the lovely voice of the narrator, Mr. Corduner, who, as Death, shares the book with the conspiratorial yet affectionate tone reminiscent of Clarence Odbody in It's A Wonderful Life. While I wasn't the biggest fan of his (sometimes overdone) German accent in dialogue, his lyrical voice added a sense of majesty to the narrated portions,which I would have missed in the straight text form. I really enjoyed this book, which followed the parallel lives of a young Irish orphan in the 1920s and a foster teen in the present day. Their paths cross and, customarily, bridges are formed, lessons are learned, and, naturally they realize they're not as different as they once seemed. While I can certainly say the premise wasn't glaringly original, the events that occurred over the 90+ years chronicled in this book were captivating. Sometimes the similarities felt a little forced and I could have done with a bit more development of the present day story, but the plot twists kept me listening and guessing. The narration was good, not great- I found the voices to be very grating at first, but eventually acclimated. Overall, this was an excellent commuting book! Hector is very good at treating patients in need of his help. But he can’t do much for those who are simply dissatisfied with life, and that is beginning to depress him. 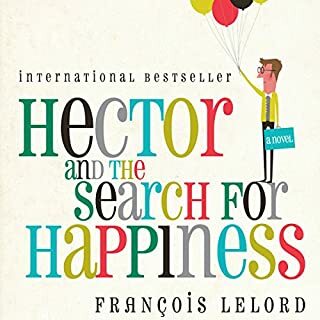 When a patient tells him he looks in need of a vacation, Hector takes a trip around the world to learn what makes people happy—and sad. As he travels from Paris to China to Africa to the United States, he lists his observations about the people he meets. Is there a secret to happiness, and will Hector find it? Hector’s journey ventures around the globe and into the human soul. This was a fun little read, but I definitely felt that there were some challenges along the way. First, as a listener, I found it confusing to determine the narrator's country of origin- I assume M. Lelord is a Frenchmen and his protagonist was either coming from Paris or London, though it was difficult to ascertain as the narrator was, I believe, Australian and never dropped his Aussie accent. Part of the charm of this book was clearly intended to be that such details aren't supposed to matter (the lessons are universal), as he never specifically named countries or cities... but as a listener, I couldn't help being distracted as to why he changed the accents of the speakers to reflect their hometown (e.g., giving speakers "from the Land of More" American accents) but I was supposed to believe that an Australian was a European? Second, this book is written very much in a French style. If you are not accustomed to French writing, you might find this off-putting. French writing tends to trend "simpler" with very concise, almost elementary, sentences carrying great weight. Compounding this writing style, I found that the translation of this book appeared to be done by a French person who is fluent in English, rather than a native English speaker who is fluent in French. The vocabulary is stiflingly limited and there were many times I felt that the translator, unaccustomed to natural English/American semantics/pragmatics, generated very stilted phrases which did not sound natural. As a result of questionable narrator/translator decisions, the book might appear to be written from the point of view of a more literal/borderline autistic person, which is sharply in contrast to the protagonist's character of a debonair and well-educated psychiatrist. Furthermore, the narrator sounds VERY similar to Dan O'Grady who narrated The Rosie Project (a great read written from the POV of a man with Asperger's) and the writing style follows suit. Therefore, I found myself repeatedly surprised when the protagonist would do something with great social graces or casually seduce a woman to "do the things people in love do." While this book was clearly intended to be whimsical, I found some of the translator/narrator decisions too distracting to lose myself in the message. It is 1875, and Ann Eliza Young has recently separated from her powerful husband, Brigham Young, prophet and leader of the Mormon Church. Expelled and an outcast, Ann Eliza embarks on a crusade to end polygamy in the United States. A rich account of a family's polygamous history is revealed, including how a young woman became a plural wife. This was a great account of polygamy, past and present. The author expertly interwove a murder mystery occurring within a polygamous sect of Mormonism with memoirs and documents "written by" historical figures of the Church of Latter Day Saints. Reader note: while they sound legit, these are *all* fictional, but heavily based in research/fact. I knew very little about Mormonism and the LDS community before reading this book. 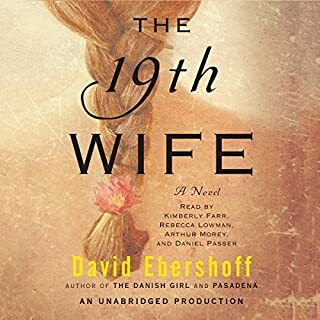 By enticing the reader by weaving two characters, stories, and communities together, Mr. Ebershoff successfully gave me a history of the church and explained the spiritual/political/social rise, impact, and fall of polygamy within its confines. It was interesting, although the "murder mystery" part lacked drama or suspense, and, being the only entirely fictional part of the story, felt a little forced and left me disinterested. I have to say, I wish I had read (with eyes) this book. The narrators were unoffensive, but their constantly swapping chapters was distracting at best, especially when the chapter titles were announced by someone other than the speaker; therefore, it would always take me a few sentences to figure out if I was past/present/scholarly, etc. I imagine font changes would have eliminated this confusion in written text. Overall, if this is a culture you are interested in, give it a read! It's accessible, light, and thorough!